The purest expression of love and the strongest bond that exists in the world is that between a mother and child. Mothers weather the roughest of storms to build a sanctuary where children always find love, comfort and compassion. 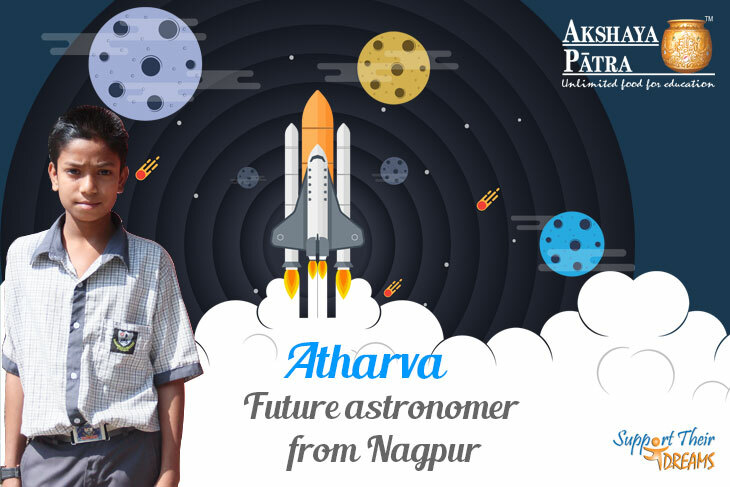 Our beneficiary Atharva Ajay Kale, studying in Std VI at Dr Ambedkar Secondary School and Junior College in Nagpur, is a boy who is very close to his mother and wants to make her proud by becoming an astronomer. His physically challenged father can’t work and his family is financially supported entirely by his mother, who works as a house help. He has two sisters – 13-year-old Vaishnavi and Arpita who is a Std I student. A determined young boy, Atharva, has nurtured the dream to be an astronomer since Std IV. “I love space. Among the stars, I like the sun, which lights up the world and I want to study it,” says Atharva, who also likes knowing the scientific intricacies of the human body. His favourite subjects at school are Marathi, English and Mathematics. He loves poems and his favourite one is the Marathi poem Maay (Mother), which is about a cow and its offspring. What does he like most about his own mother? “I love my mother. Everything about her is the best,” is his adorable reply. A sporty young lad, Atharva likes playing Kho-kho during school-breaks and often participates in competitions like Lemon and Spoon race, and running. “I also like to play football in school,” he adds, before joining his friends at lunch hour. With the blessings of his mother, his determination and hard work, Atharva is sure to become the astronomer he wishes to be and have significant achievements. We wish him luck!